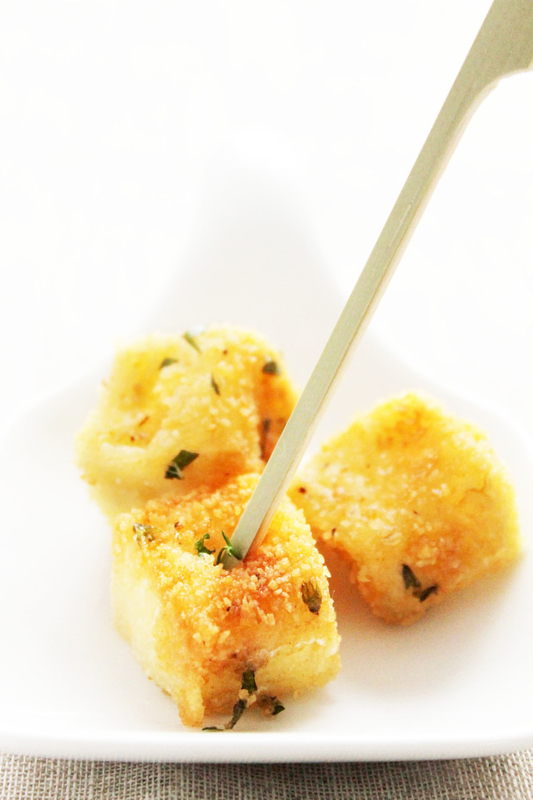 Cut the Petit Brie ILE DE FRANCE® into 2 cm dice. Beat the eggs with the olive oil and add salt and pepper. Mix the spices and finely chopped herbs with the breadcrumbs. Coat the croquettes in breadcrumbs: roll the chopped Petit Brie ILE DE FRANCE® pieces in flour and tap to remove excess. Dunk them in the beaten eggs then roll them in the flavoured breadcrumbs. Roll them a second time in the breadcrumbs. Fry in hot oil until golden brown. Drain on kitchen towel.